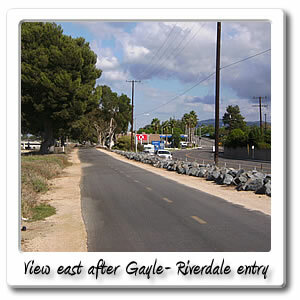 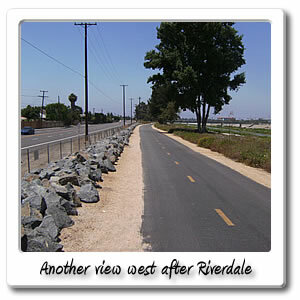 Welcome to Riverdale Street on the Santa Ana River bicycle trail. 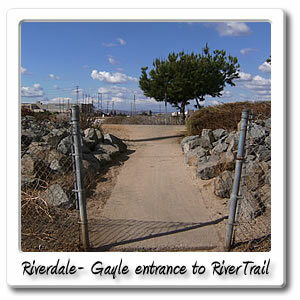 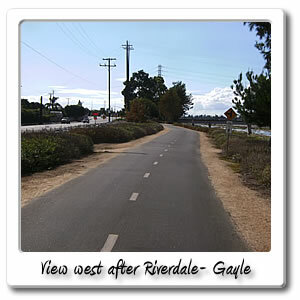 You can find the Gayle Street and Riverdale Avenue entry point 17.2 miles, and 1 hour and 26 minutes from the beach on the Santa Ana River Trail. 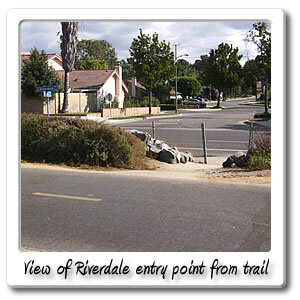 The Green River Road entry point and the end of the Santa Ana River Trail Orange County section is 1 hour and less than 12 miles from this point. 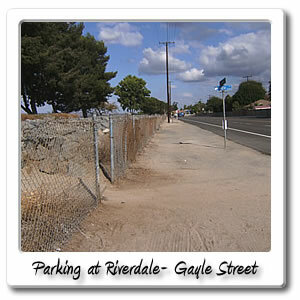 You can find the Tustin Avenue entry point by going .3 miles east for about 2 minutes.